Is Amazon planning to roll out its own wireless network? Amazon might be about to offer its own wireless network, if a report of some behind the scenes testing is to be believed. It's been pretty busy at the Amazon labs over in Cupertino, according to sources speaking to Bloomberg, with the company supposedly testing a wireless spectrum controlled by satellite communications company Globalstar. 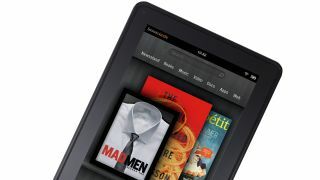 The tests are said to have taken place around Amazon's Lab126 facilities, home of the Kindle, so it seems likely that the network will be used to connect Amazon devices to the web. There's no guarantee that Amazon is planning to launch the network itself, but it makes sense for it to be testing ways to get its products online and offer a more all-round experience for consumers. Globalstar has also admitted it is working with a "major technology company". Then of course there are the rumours about the Amazon Kindle phone, which could also play a part in this, should it ever appear. Meanwhile Google has been making its own waves in this space, rolling out its high-speed fiber networks over in the US. We asked Amazon to comment on the rumours and will update if we hear more.